A chalazion is a chronic swelling of the eyelids not associated with conjunctivitis (Fig. 41-8). The chalazion, a granuloma-tous inflammatory reaction, may persist for weeks or even months. Chalazia are generally not amenable to oral or topical antibiotics, unless the lesion is secondarily infected. Chalazia are usually rubbery, cystic, and nontender on palpation. When the upper lid is involved, vision may be temporarily blurred. If the chalazion persists for more than 4 to 6 weeks, it may require incision and curettage. 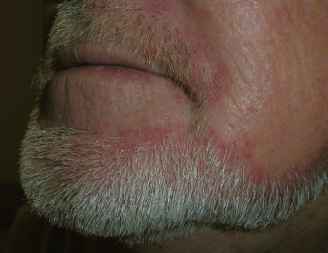 Recurrent chalazia may be caused by an underlying sebaceous carcinoma, so the lesion should be biopsied and sent for pathologic testing.